Windows 10 comes with Microsoft Edge as default web browser. Windows 10 also comes with pre-installed Internet Explorer 11, which you can use for browsing and also set as default web browser on your computer. 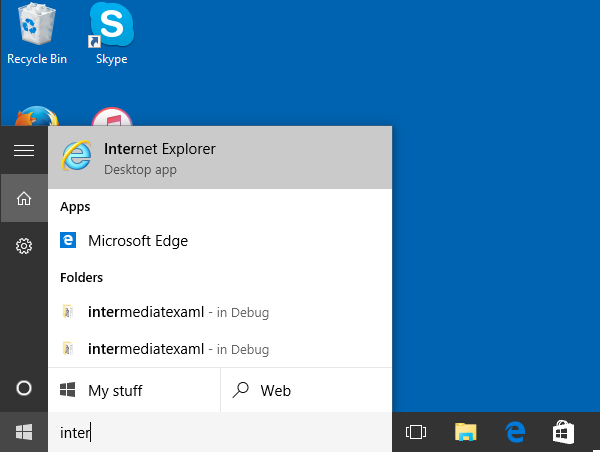 Click on Start menu and type "Internet explorer" in cortana search box. This will show "Internet Explorer" in search results, which you can click to open Internet Explorer. 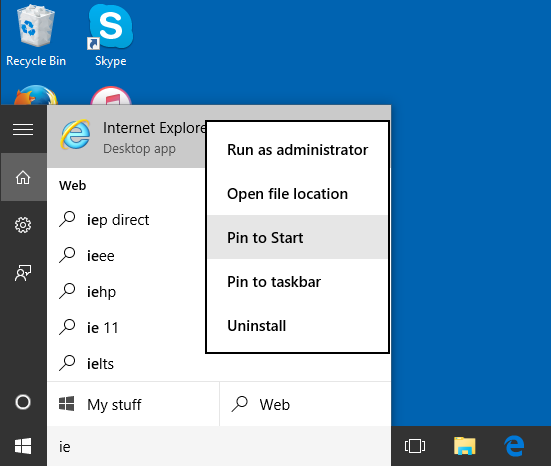 To pin Internet Explorer to start menu, right click on "Internet Explorer" from cortana search results and select "Pin to Start". 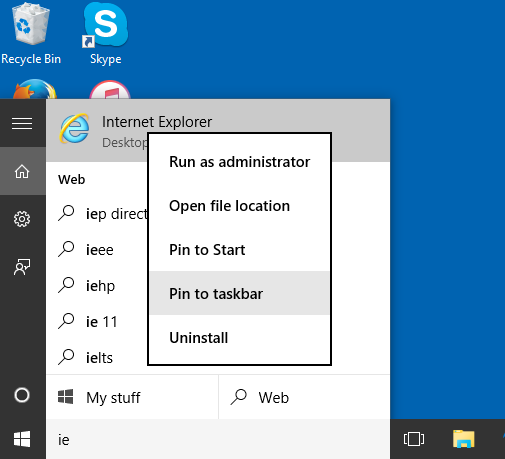 To pin Internet Explorer to taskbar, right click on "Internet Explorer" from cortana search results and select "Pin to taskbar". 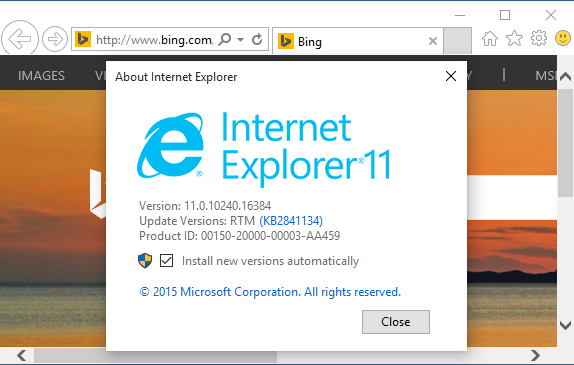 You can also set "Internet Explorer" as your default web browser in Windows 10. Refer How to set default web browser in Windows 10 for detailed steps on setting your default web browser.